Every Island in the Hawaiian Archipelago is unique unto itself, but only one carries a Hawaiian nickname. Maui “No Ka Oi” means “Maui is the best!” and it is no wonder! With miles of beautiful beaches and reefs, the tropical rainforests and waterfalls of Hana and the towering 10,000 ft high summit of Haleakala Volcano, Maui has some of the most diverse and stunning landscapes to explore in all of Hawaii! See the best Maui tours below. In ancient times Maui became the most powerful island in the archipelago. King Kahekili brought all the islands under his control except for the Big Island of Hawaii. He would battle his arch nemesis Kamehameha several times on Maui and the Big Island until the old warrior king died of natural causes on Oahu in 1794. His son, Kalanikupule, would be defeated by Kamehameha on Maui and finally, on Oahu in 1795 were Kalanikupule would be killed by Kamehameha’s newly acquired cannon and musket. It would be the last battle of Kamehameha’s 40-year campaign to unite all the islands under his rule. From the thundering surf of the north shore to the sun-drenched beaches of Kihei and Kaanapali to the rainforest of east Maui to the soaring heights of Haleakala and the one of a kind sea life of Molokini Crater, Maui has so much to do and see that it’s pretty much impossible to see it all in a two week vacation. This is why Maui has one of the highest visitor return rates of all the islands. Just like the ancient kings and queens of Hawaii, Maui holds a special place in the hearts of visitors and residents alike. There is really a lot to enjoy here on Maui. The Road to Hāna, Haleakalā National Park, Molokini Crater, Humpback Whales, Snorkeling, Hiking, Ziplining and so much more. We got it all here on the island of Maui and we would love to show you around. The best tours on Maui include kayaking, snorkeling at Molokini and Turtle Town, enjoying an award-winning luau, hiking in Haleakala National Park (including sunrise) and, of course, the magnificent road to Hana! Maui is well known for its beautiful beaches, towering mountains and deep valleys covered in rainforests and waterfalls. However, the island has an amazing amount of marine wildlife who also believe Maui is “No Ka Oi” (The Best). From the yearly migration of Humpback whales from Alaska to the rare Hawaiian Monk seal to spinner dolphins, Maui has some of the most beautiful Marine Preservation Districts in the state. The crown jewel of Maui snorkel tour spots is Molokini Crater but there are many more locations scattered around the entire island. The best Maui ocean tours can include kayaking, boats to Molokini, small but fast ocean rafts and leisurely snorkel and dinner cruises. Our ocean tours can also include visits to the nearby islands of Lanai or Molokai. Whatever type of ocean adventure you have in mind we can help you find a wonderful tour at a great price! Maui is the second largest island of the main Hawaiian islands and is quite a bit bigger than most visitors think. While the road to the summit of Haleakala is only 38 miles long the road is a steep ascent of switchbacks that can take over an hour to drive. Likewise the road to Hana is around 60+ miles to the Pools of Oheo located 8 miles past the town of Hana. However by the time you make stops and return you’ll be looking at a 10 to 12 hour day. There are lots of wonderful hikes to but if you not sure where to go it can get dangerous in a hurry. That’s why we recommend tours that are well respected and known for keeping visitors safe and comfortable on Maui’s challenging roads and landscapes! Much of Maui’s incredible beauty is in the remote valleys and rugged coastlines that are nearly impossible to see except from the air. That’s why helicopter tours are one of the most popular activities to experience while visiting Maui. There are several lengths of flights that allow a birds-eye view of places like Haleakala National Park, the road to Hana, the West Maui Mountains in the west and flights to nearby Molokai and it’s incredible 1000′ high ocean cliffs. Air tours are something everyone should experience and we have a great selection to choose from! Catching some great performances from shows to Luaus is always a memorable part of a Maui vacation. Choose from a variety of options on both the south and west sides of the island. Most Maui luaus include great food, delicious tropical beverages, and excellent entertainment but they can be quite different depending on location and package prices. Feel free to ask us questions as we are happy to help you decide which is best for your time, location and budget! Biking down Haleakala volcano has been popular on Maui for decades. Visitors coast down the mountain’s winding Crater Road which descends thousands of feet in elevation. The views are incredible and coupled with sunrise at the summit, a zip line tour or a winery tour and visitors can enjoy multiple activities in one outing! We work with the best downhill biking tours to give you plenty of safe and affordable tours to choose from! Ziplines have been around for centuries helping people traverse dangerous rivers and valleys. The first commercial zipline tour in the United States was built on Maui in 2002. Today there are over a dozen zip line companies on the island offering a variety of experiences for nearly everybody from ages 8 to 98! We have a wonderful variety to choose from so feel free to ask us about the differences and what to expect on these thrilling adventure rides! Hiking on Maui is a wonderful way to experience the beauty of the island. However every year visitors get lost or injured hiking in areas where they shouldn’t be. That’s why you’ll be sure to have a fun, safe hike exploring Maui’s trails with a tour guide. 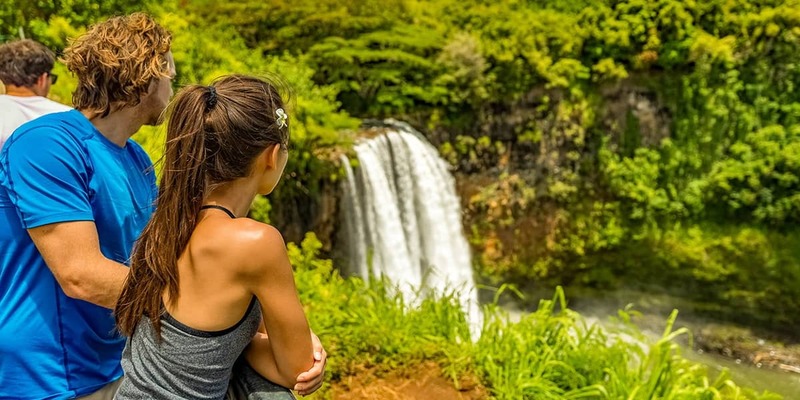 From 10,000 ft high Haleakala Crater to the rainforests and waterfalls on the Hana side to kayak/hiking combo tours, we have a great lineup of memorable hiking adventures! Did you really want to see Pearl Harbor from Maui? There are a number of great tours to not only see Pearl Harbor but the rest of Oahu too. No vacation to Oahu is complete without a visit to the USS Arizona Memorial and the USS Battleship Missouri. After that, you can visit the historic city of Honolulu before getting back to Maui for a late dinner. Our flights from Kahului, Maui to Oahu leave early in the morning and return later at night to give you more time in Honolulu so seats are limited. With that in mind, we recommend that you book our Pearl Harbor tours before you arrive in Maui. Transportation to and from Kahului airport is not included in this tour. Lahaina is approximately 25 miles. Leave your hotel 3 hours before flight departure. Wailea is approximately 15 miles. Leave your hotel 2 hours and 30 minutes before flight departure. Are you staying on Oahu or one of the other islands and really want to see and experience Maui? There are opportunities for you to do that no matter where in Hawaii you are staying. Take a day tour and experience the best of Maui! What should I do today in Maui? There is much to do in Maui so it’s important to pace yourself. 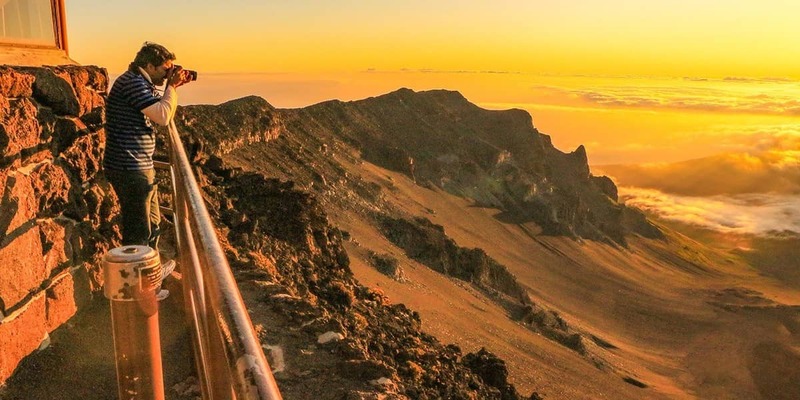 Some things will take a whole day to experience such as the road to Hana (10 to 12 hours) or sunrise at the 10,000 ft summit of Haleakala (3 am start). However there are activities that won’t take up an entire day like whale watching (winter months), snorkeling at Molokini Crater (morning tour), cruising Lahaina and the Banyan tree or attending a luau (evening). What Are Some Of The Best Things To Do On Maui? ✦ See the 7 Sacred Pools of Ohe’o Gulch. ✧ Pose With Lahaina’s Banyan Tree. What is Maui best known for? Maui has around 80 beaches island wide with more miles of accessible beaches than any other Hawaiian island. Hana’s black sand beach is the most well known and unique on the island. Sunrise at the 10,000 ft summit of Haleakala volcano is also a well known activity as well as whale watching during the winter months. What is the best time to visit Maui? The spring and fall shoulder seasons of April through May and September through November have less crowds with often discounted prices for flights and accommodations. What are the most popular things to do in Maui? Known for some of the best beaches of the main Hawaiian islands, Maui is also home to incredible rainforests and waterfalls along the road to Hana. Haleakala is famous for its spectacular summit sunrise! Towering over 10,000 ft high at the summit, Haleakala Volcano encompases amazing views within this National Park. Molokini Crater sits just off shore of southern Maui and is a world class marine reserve visited daily by snorkel and dive boats. What is the difference between Maui and the other islands? Maui is the second largest island of the main Hawaiian islands. Known as the “Valley Isle” it has a unique hourglass shape formed by its two mountains with a large ismuth or plain between them. Kauai is the smallest of the main islands with less accessible inland roads but spectacular ocean cliffs and the massive and beautiful Waimea Canyon. Oahu has the largest population (some 1 million residents) with beautiful protected bays, expansive mountain ranges and huge surf along the north shore while Maui has the second largest population of around 100,000 residents. The Big Island is over twice the size of all the other islands combined yet is the third least populated of the four main islands. Kauai is the smallest of the main islands and thus has the least amount of residents. Can I fly directly to Maui from the mainland? Yes. Flights from the west coast and Texas fly directly to Maui daily. While most major U.S. and international carriers fly to Honolulu, Hawaiian Airlines, American West (US Airways), American Airlines, Continental, Delta and Northwest Airlines fly directly to Maui. Maui is a fairly large island with lots of open spaces. A car is best if you want to see as much as possible but there is a public bus system that stops in the major towns. Many tours, including boats and land tours, offer hotel or condo pick up and drop off. The road to Hana is popular but is best experienced with a van tour. The road to Hana is a 10 to 12 hour day and it’s much more relaxing and you’ll see way more during a tour than you will driving it yourself. What time of year can I see Humpback whales in Maui? Humpback whales migrate to Maui in the winter to give birth and breed. The first “scouts” arrive in November and stay till around the end of March and early April. The whales are most active during the full moon in January and February. What time is the sunrise at the summit of Haleakala? The sun rises above the rim of Haleakala Crater around 5:45 am in the winter and around 6:45 in the summer. It is just over an hour to drive to the summit from Kihei and over 2 hours from the west side (Lahaina and Kaanapali).